Art by: Carmine Di Giandomenico. The Flash has been at the top of my most anticipated list for DC Rebirth since the grand Rebirth announcement. Joshua Williamson laid out a promising story in Flash: Rebirth #1 even though it had yet to meet my sky high expectations. 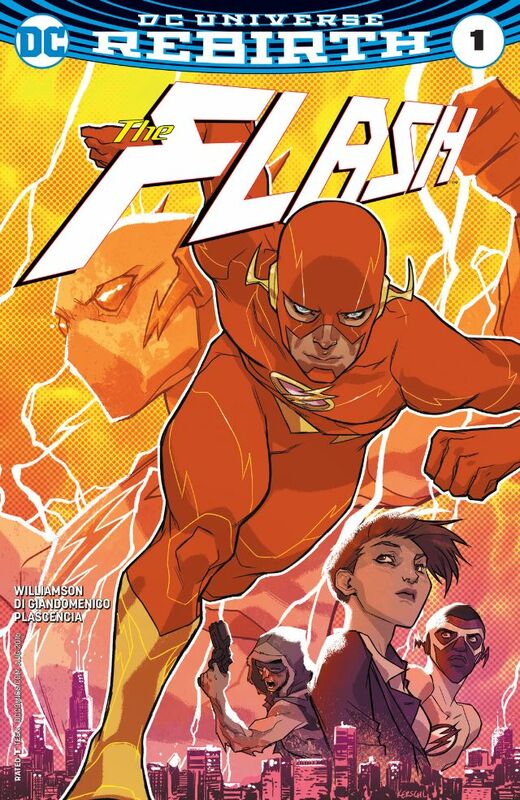 The Flash #1 hits the same target as its predecessor on that front. While there is so much potential in this book for excellence, Williamson is still setting it up. This isn’t necessarily bad but I still haven’t found a sense of ongoing conflict that I was hoping for. The strengths of this issue all lie within the characterization of Barry. Characterizations like these are what make multi-canon characters so great. Williamson has taken all the best aspects of Barry Allen’s character over time and melded them into a definitive take on the scarlet speedster. Humans are complicated beings and sometimes in stories characters feel like they are defined by one trait, one relationship, or one issue. Similar to the work of Garth Ennis, Williamson’s characters here feel whole and layered. In terms of art, Carmine Di Giandomenico once again creates a beautiful issue and brings a great sci-fi vibe to the book. The speed fore effects are smooth and vibrant, while the character’s expression aptly communicates the emotion necessary. Ultimately, The Flash #1 still remains under the level of greatness I want it to be but that does not mean it is not a great comic. Williamson’s characterization alone is worth the read. He is writing fleshed out and complex characters that will undoubtedly keep me reading this book no matter what I think of the plot. DC: Rebirth still has yet to fail us.